We are one of the largest manufacturers as well as suppliers all over the country. Our PTFE Conveyor Belt is of high grade when it comes to quality. It is made of teflon material. It can be used in high temperature areas and the belts are coated for better quality. 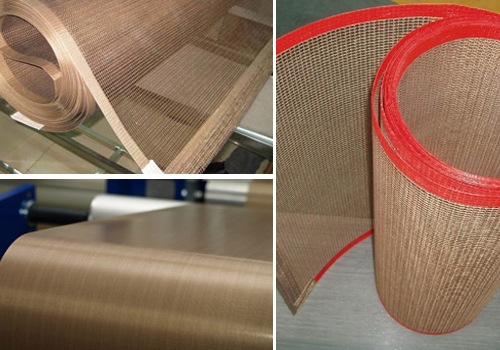 The working life of our Teflon / PTFE / High temperature Glass fibre coated belts is quite long. We only entertain medium size or bulk size orders from our clients.